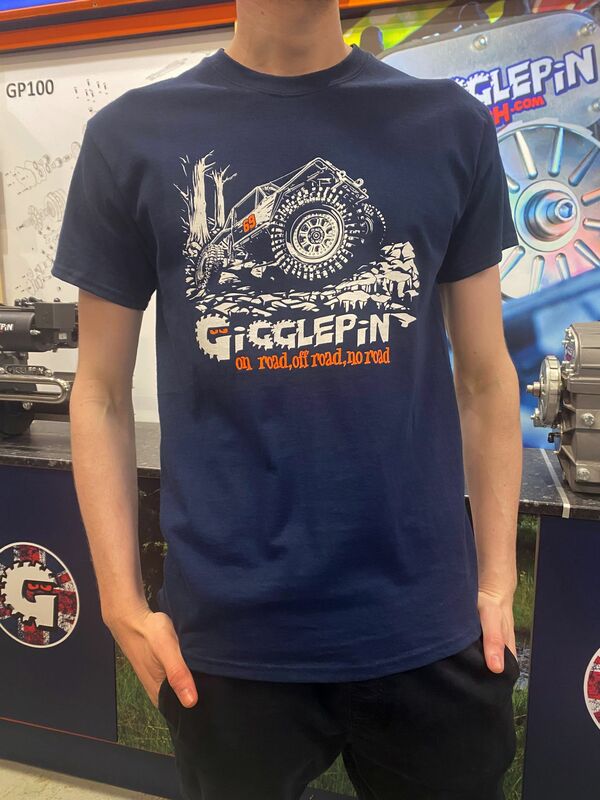 This new design Gigglepin tee with our new logo and current racer printed in high quality on the front onto a great comfortable T-shirt. Fabric is high quality and hard wearing not like some cheap quality shirts you find. The Gigglepin Winch tee not only feels high quality but it also looks the Bees Knees!! T-shirt comes in a variety of sizes, please choose from the drop down menu in the 'Product Options' tab above.